Zibo Guang Dong Chemical Co., is a professional supplier which provides a variety of Acrylic Emulsion Technology, to provide customers withBetterAcrylic Emulsion Technology ,Technology transferx1e2ce56nand Acrylic Emulsion Technology and so on. Since the company had been established in Xincun Road,Zhangdian,Zibo,Zhangdian District,Zibo City,Shandong Province,China, adhere to people-oriented ,and the quality of survival, to the credibility of development,our company have made an outstanding achievement.We based in Shandong Province,market-oriented,to customers are thinking,anxious customer anxious. The advantage of Guangdong chemical industryEmulsion manufacturersis that it can provide more professional and thoughtful solutions timely and accurately according to the actual needs of customers.At the same time, Our company follow the latest developments on Business services,Project cooperation,Transfer, and establish long and steady partnership relation with many well-known enterprises in the same industry , to provide customers with the most professional, advanced Acrylic Emulsion Technology.Details: Kinds of technology of emulsion transferThe styrene - acrylic emulsion is obtained by copolymerization of styrene and acrylate monomers by emulsion. Milk white liquid with blue light. 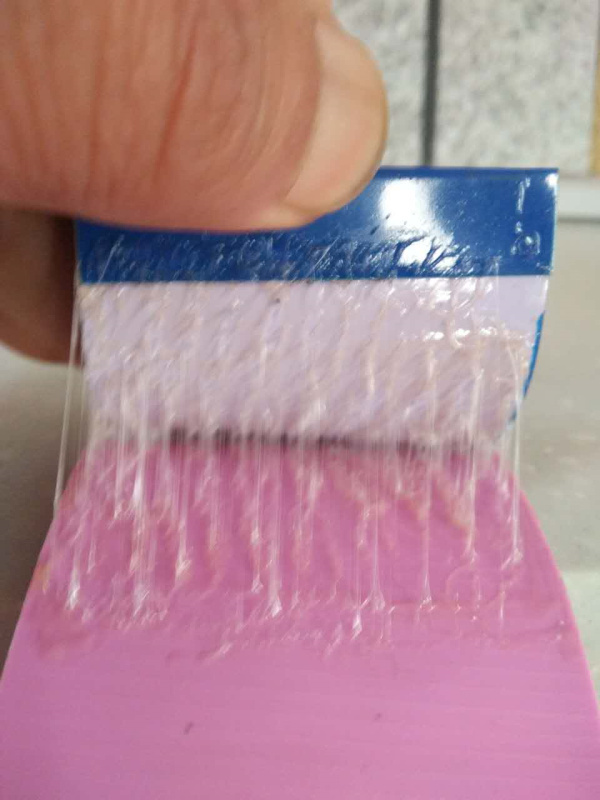 The solid content was 40 to 45%, the viscosity was 80 ~ 1500mPa s, the residue of the monomer was 0.5%, and the pH value was 8~9. The styrene acrylic emulsion has good adhesion, transparent film, water resistance, oil resistance, heat resistance and aging resistance.Styrene acrylic emulsion is used as paper adhesive, and it can also be used in combination with starch, polyvinyl alcohol, sodium carboxymethyl cellulose and other adhesives. Storage at 5~30 centigrade storage, storage period of 1 years.Technology transfer of chemical emulsion1. Transfer of polyurethane waterproof coating, PU coating and water-based ink technology2, steamed polyurethane compound film / plastic plastic PU composite adhesive / steam resistant plastic plastic / water based plastic plastic technology transfer3, technology transfer of waterborne, oily polyurethane shoe material compound adhesive and PU shoe material compound adhesive4, technology transfer of polyurethane sealant PU sealant5. Technology transfer of waterborne and oily alcohol soluble polyurethane polishing oil and piezo oil polishing oil11, multifunctional building glue / marble gum / architectural decorative material adhesive / porous building material adhesive12, PU polyurethane foaming agent formula for technology transfer13, technology transfer of waterborne and oily polyurethane leather rubber PU leather adhesive14, technology transfer of waterborne polyurethane pressure sensitive adhesive, polyurethane medical pressure sensitive adhesive and PU pressure-sensitive adhesive hot melt adhesive15, plastic / sponge / cloth / glue glue technology transfer composite fireproof board16, oily water-based polyurethane floor tile adhesive glue glue technology transferThe development, development and improvement of the performance of acrylic emulsion and water-based paint is my constant pursuit.It is my goal to serve the large emulsion and water-based paint enterprises.For the enterprise to provide environmental protection non-toxic, quality and low price emulsion, water-based paint new technology is my greatest happiness;It is my good wish to make the colorful and colorful and create a good living environment in the urban and rural areas.We are willing to work together with the people with lofty ideals and make the emulsion and water-based paint industry better, bigger and stronger. Guangdong chemical industryalways adheres to the corporate purpose:Ｃｒｅａｔｅ value for customers and step forward with employees. ; advancing with the times,make progress together with Acrylic Emulsion Technology, and go hand in hand to get innovation and a win-win situation. To get more information about Acrylic Emulsion Technology,Acrylic emulsion manufacturer, you can log in and look through Guangdong chemical industry official website: www.acrylic-poly.com.